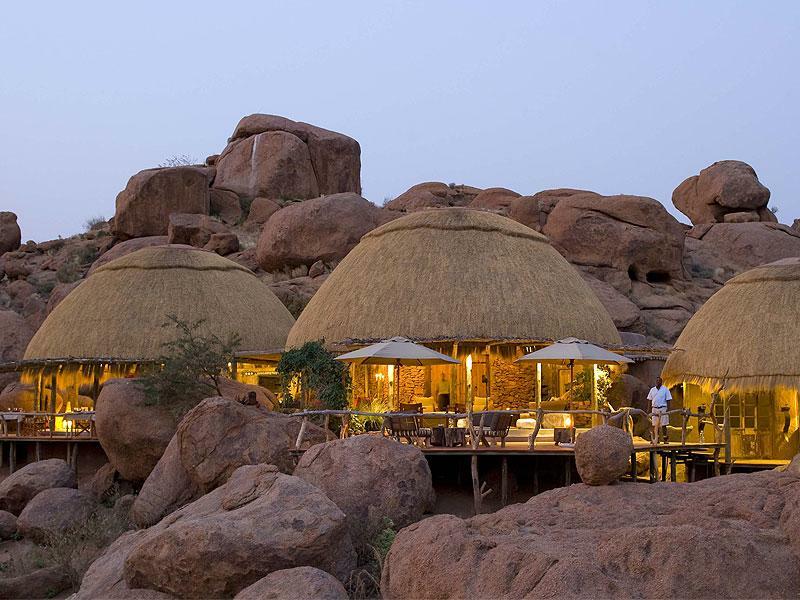 Designed to creatively embrace the granite boulders, the camp embodies its Swahili meaning as it 'blesses' the mind, body and soul of every traveller that makes the journey. Taking advantage of the nearby Aba Huab River and all consuming expansive landscape, Kipwe offers a refreshing perspective on traditional safari life. 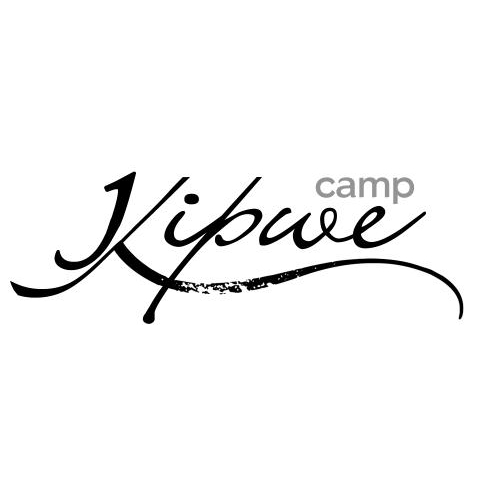 'Kipwe', meaning blessed in Swahili, is built creatively into the large granite boulders of the area and is the latest addition to the Vision of Africa camps. 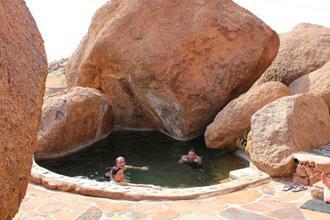 The camp is nestled in the boulders, facing out onto superb scenery. 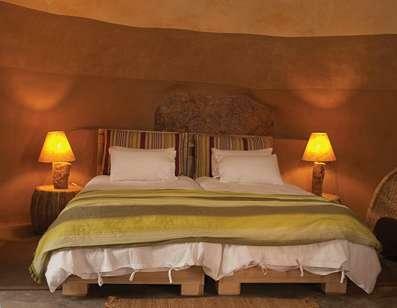 Incorporating boulders, small red basalt rocks and mopane branches, it has a natural organic feel. 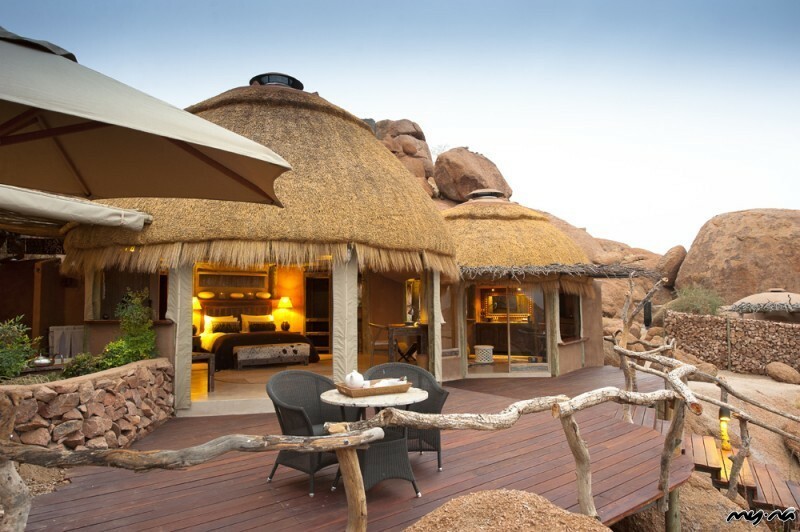 The nine rooms and one suite are round in shape, with large outside decks to admire the view. 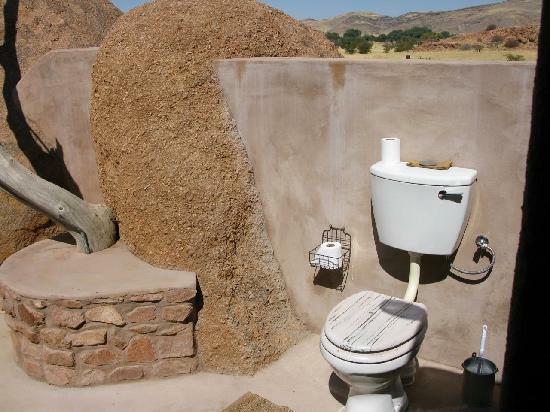 The outside, partially open bathrooms adjoining the bedrooms have boulder, cement and rock walls, and roofs of rough mopane branches. Hot water is supplied by wood-burning 'donkey' boilers. 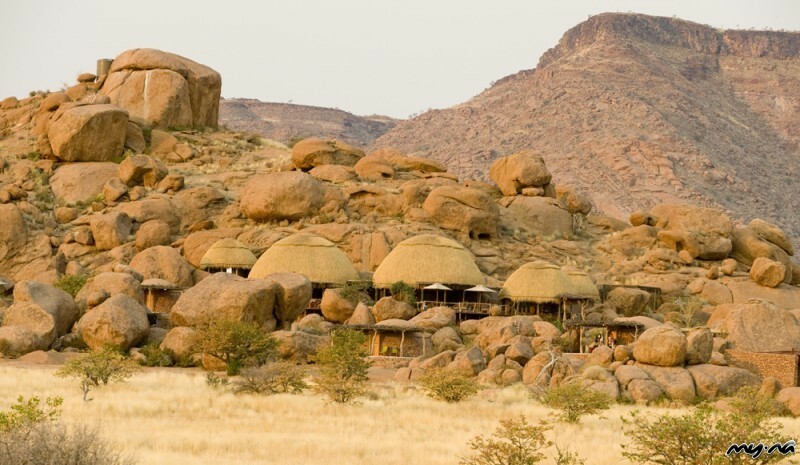 The central area of the camp is raised and comprises four thatched domes; the reception area and curio shop, dining room, lounge and bar and guest toilets all with amazing views toward the Aba Huab riverbed. An outside boma area is an additional venue for fire-cooked meals. 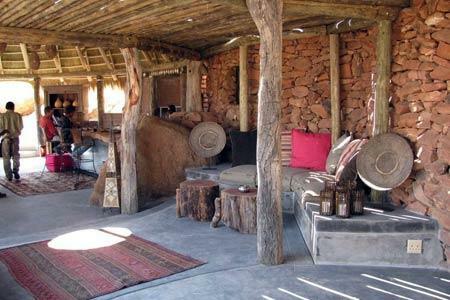 The central sitting area is furnished with wood and cane chairs, a leather couch, rough hewn chunks of wood used as small tables, tree trunk supports and woven lights hanging elegantly from the thatch roofs. A small swimming pool built into the rocks and a viewpoint with 360 degrees of breathtaking beauty, are two attractive outdoor features. 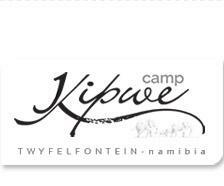 Activities at the camp include nature drives with the possibility of seeing the desert-adapted elephants in the dry season, Twyfelfontein excursions to the rock engravings and guided walks in front of the camp with Kipwe's experienced guides.